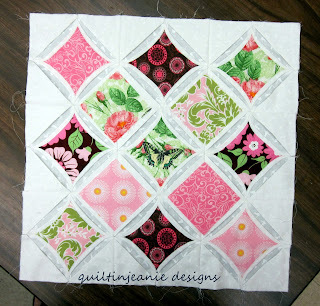 Jean's Quilting Page: Small projects are big fun! Small projects are big fun! Two of my Sampler Clubs have been working on smaller projects in their sessions. I let them choose from a variety of projects that I have made over the years. Some in the Second Tuesday Club are making the Modern Cathedral Window Pillow. They worked on putting their squares together the other night. 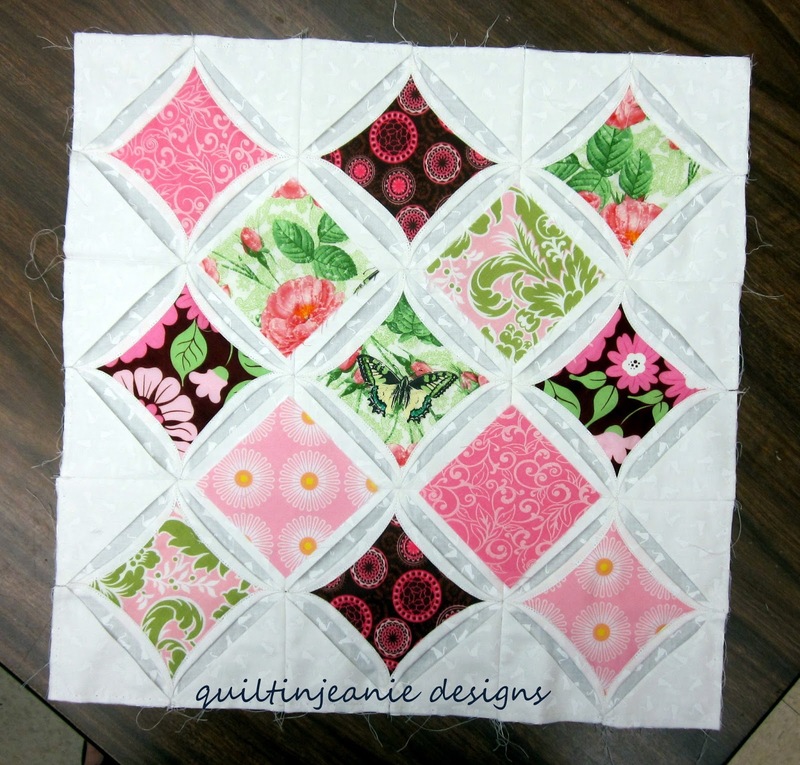 Deb came with her blocks sewn together in a different way and knew something was wrong, but couldn't quite figure out what. 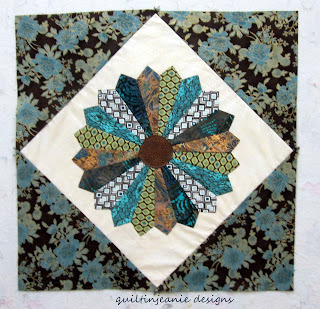 She could put hers together and add the windows even though they made a different pattern and it looks great too! Can you tell the difference? When she showed the others, they had a hard time figuring out what she had done differently. Once they are sewn into the windows, it's harder to tell. Shirley didn't have hers sewn together, so I will get a pic next time. Two of the quilters wanted to make the Dresden Plate Special Tabletopper instead. 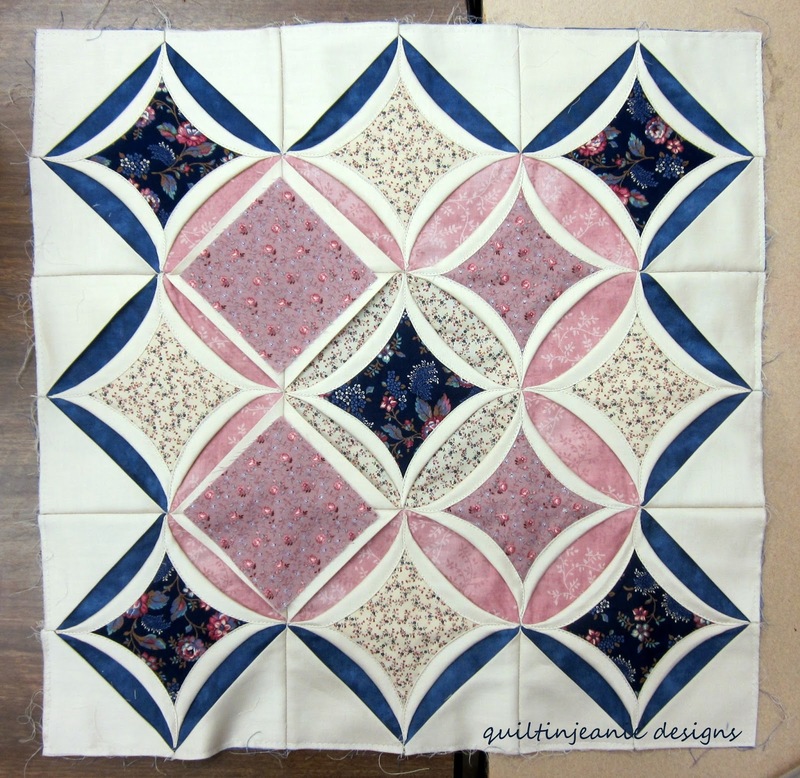 It's a great way to try a Dresden Plate block and have a nice project when you are finished. They chose really different fabrics so that made it interesting and fun to see them come together. 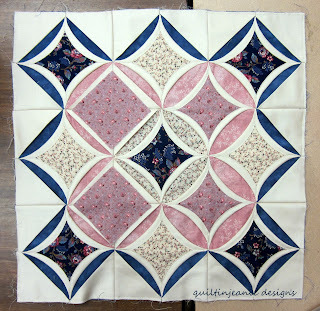 These could be made into pillows as well, but they will add borders to make a tabletopper or wallhanging. 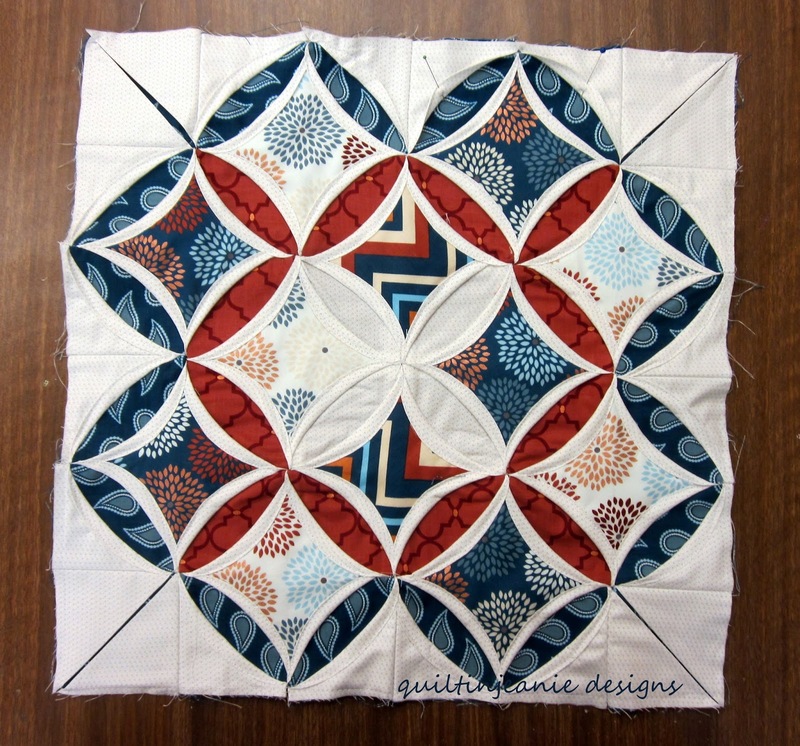 Martha's corner triangles pinned on. 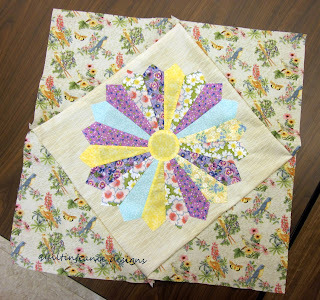 I will meet with the other group that is making the Modern Cathedral Window Pillow next Wednesday. Can't wait to see what they have done! 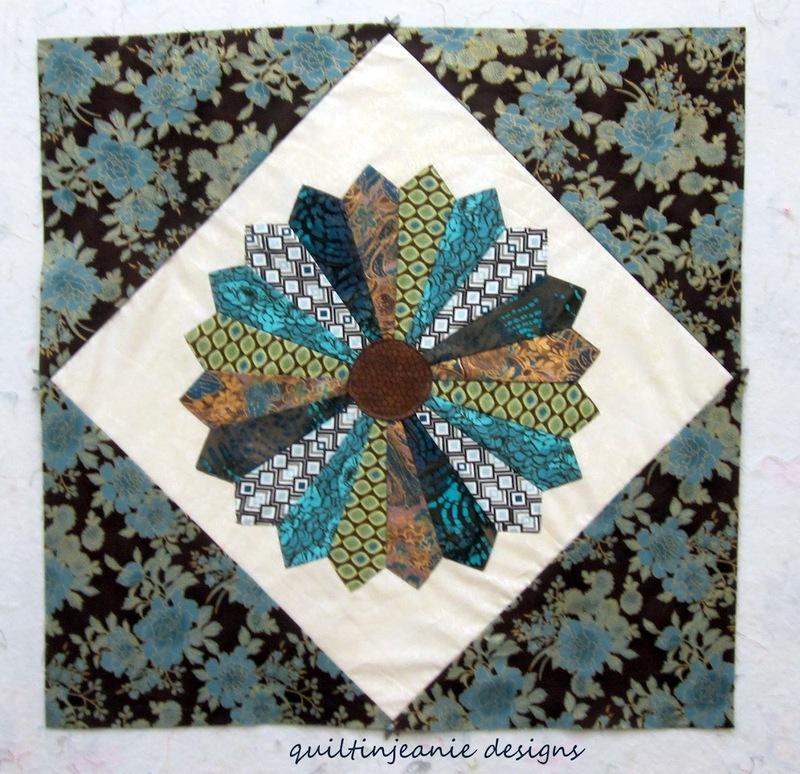 Lots of fun projects! I never tire of seeing things other people make. Inspires me so. Ha ha... yes I see what she did, but I like the rounded effect of it better.